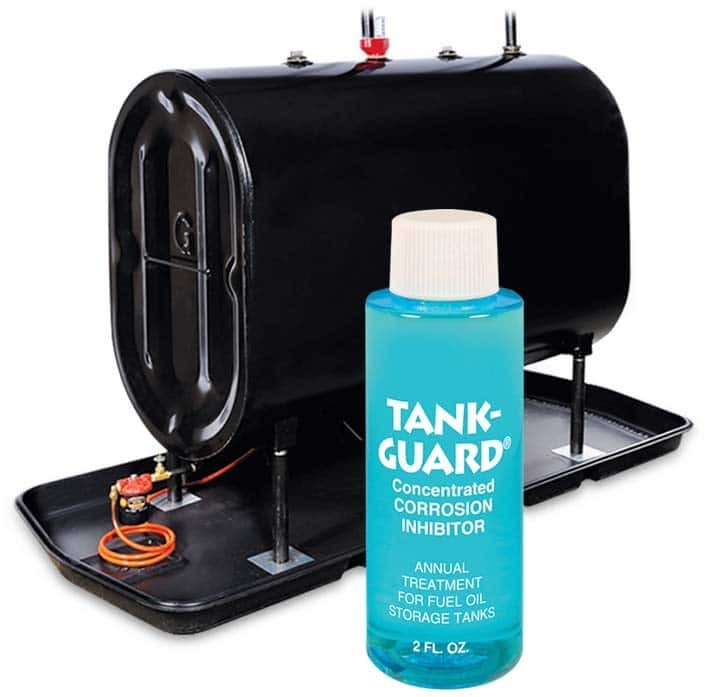 TANK-GUARD® protects your oil tank. Oil storage tanks are durable and well designed, but they are subject to corrosion and eventually need to be replaced. The life of an oil storage tank is impossible to predict and the most common cause of failure is from internal corrosion. If your oil tank needs to be replaced it could cost YOU upwards of $2,000. We realize that in today’s economy that is a huge bite out of your budget. That’s why we are offering you our TANK-GUARD Oil Tank Protection Program. It’s a proactive service that protects your tank against damaging internal corrosion with an effective corrosion inhibitor and also protects you financially with a tank warranty that can replace a leaking tank at no charge (your only cost may be for a permit and required safety upgrades if necessary). You must receive a minimum of three oil deliveries during the one year warranty period in order to renew this protection. Subject to additional terms and conditions.